I got through our sixth day of cloudy cool weather with just a peak of sunshine. 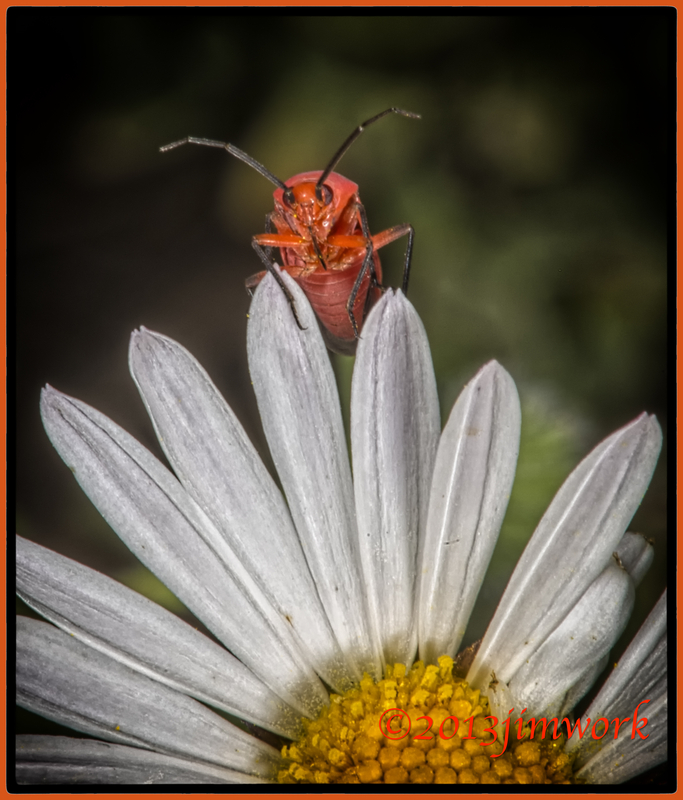 I found this red bug Oncerometopus nigriclavus peaking at me from atop of this lazy daisy Aphanostephus skirrhobasis. I am having so much fun with this sense of discovery of previously unseen things. So, I am going to concentrate on posting small things from this big world. Photographs from Southwest Texas #502 – In your face close up of a small Painted Lady butterfly.